The “Tailgate” feature in Fine Homebuilding’s latest issue is an interview with Tedd, about timber framing and the founding of Unity Homes. We have received some fantastic news about the exceptional performance of our Unity Homes. 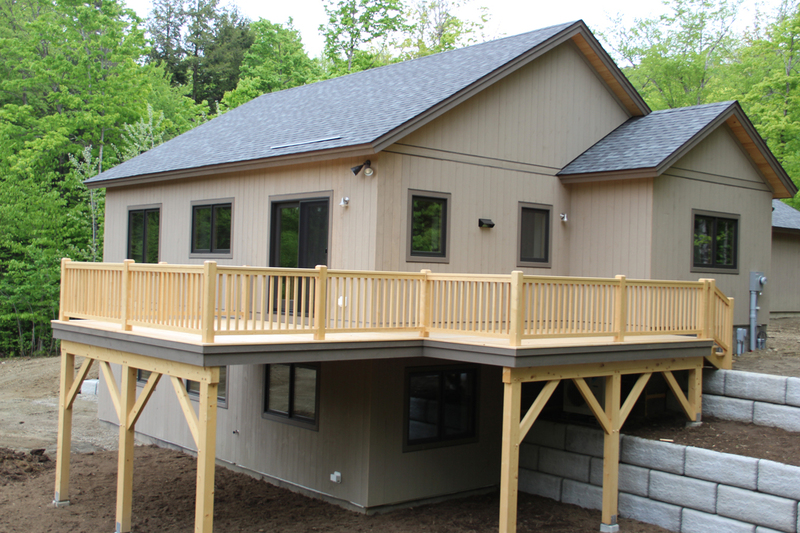 We recently completed our first Unity Home, a Xyla in southern Vermont. The home was tested by Efficiency Vermont for compliance with the Vermont Residential Building Energy Standard (VT-RBES). The 2,376 sq. ft. home with conditioned walk out basement achieved a Home Energy Rating System (HERS) score of 44, receiving a 5 Star Plus Certification for excellence in energy efficiency. So what does that mean to a home buyer? It means this home is 56% more energy efficient than a home built to current code and 86% more efficient than the average American home. This home also tested at 0.51 ACH50! This number is so extraordinarily low that it surpasses the Passive House standard of 0.6 ACH50. So you don’t have to take our word for it – the numbers show our Unity Homes continue to exceed the energy performance of other homes built to code. The Washington Post Real Estate section this weekend featured an article: What is fabulous about prefab housing, which features a nice mention of Bensonwood, particularly the OBPlus Wall.